Insuring Your Church and Grounds Against Flood Damage | The Voss Law Firm, P.C. Will Your Insurance Cover the Full Extent of Flood Damage to Your Church? Flood damage to any property is cause for concern, but churches face additional challenges after the waters recede. Property owners may face grueling and dangerous cleanup of debris, suffer delays in insurance claim processing, and struggle to provide for the congregation while the church’s doors are closed. Attorney Bill Voss explores coverages that may be overlooked on a religious property’s insurance policy, as well as how to get as much compensation as possible for flooding losses. Insurers may dispute coverage for flood damage depending on the cause. For instance, the National Flood Insurance Program pays for flooding caused by heavy rains or other natural causes, and private insurance covers water damage from a burst pipe on the property. Many Texas property owners purchase multiple forms of flood damage insurance to ensure coverage for all potential losses. Contents. Flooding can ruin floor coverings and destroy the wood in altars, pulpits, and pews. If your church houses antiques, paintings, relics, statues, or other valuable items, these may require a special endorsement. Structures. Whether they are housed in cathedrals or in small modern buildings, a church’s property can extend beyond the house of worship itself. Many religious organizations include multiple buildings, including an affiliated school, daycare, or community center. All of these structures must be covered for flood damage to their basements, framing, and foundations. Grounds and landscaping. Your flood insurance policy should extend to your churchyard and grounds, especially if you are adjacent to a cemetery. Damage to grave markers and headstones can be costly to replace and cause distress to family members. Vehicles. 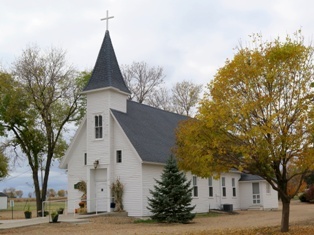 Churches may offer transportation for community members through company-owned vehicles, or store donated automobiles on the property until they are ready for sale. Commercial auto coverage can help replace these vehicles, allowing you to continue to provide for parishioners when they need it most. Additional expenses. Most insurers will offer optional coverage to extend the limits of the policy. The addition of extra expense coverage, business income protection, or code upgrade coverage can be invaluable after a major loss. It can take a year or more to completely restore a church after a flood, but you shouldn’t have to spend that time fighting with your insurer. If you are having trouble getting the flood insurance coverage you paid for, fill out the form on this page to contact an insurance attorney at the Voss Law Firm today. To learn more about filing a claim, order a free copy of our book, Commercial Property Owners Must Read This BEFORE Filing an Insurance Claim.